Royal Visit by Prince Rainier and Princess Grace of Monaco. The Royal family arrive at Dublin Airport. 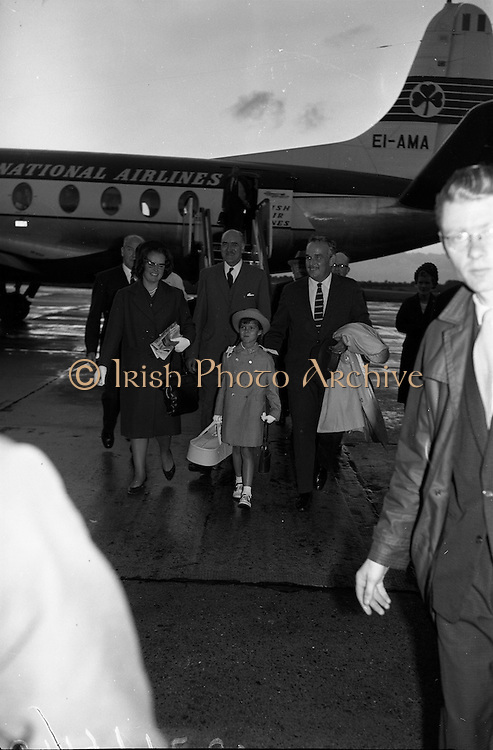 A smiling Prince Rainier and daughter Caroline arrive at Dublin Airport.